Note: GOES-R IFR Probabities continue to be computed with GOES-13 and GOES-15 data only. Incorporation of GOES-16 data will occur near the end of 2017. A wide swath of Dense Fog Advisories were hoisted over the central part of the United States on Monday 3 April 2017 in association with southerly flow and a variety of fronts. 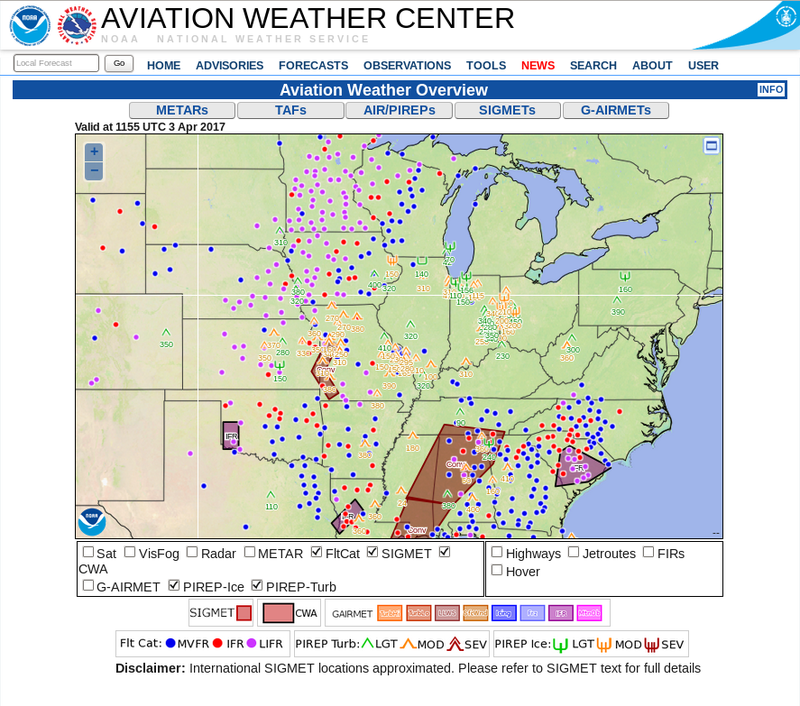 The Aviation Weather Center front page (screen-captured, as shown above), showed Low IFR and IFR conditions throughout the central Plains. The development of the Low IFR Conditions coincided with an increase in Low IFR Probabilities during the night, as shown by the stepped animation below showing data from 0200, 0500 and 0915 UTC. 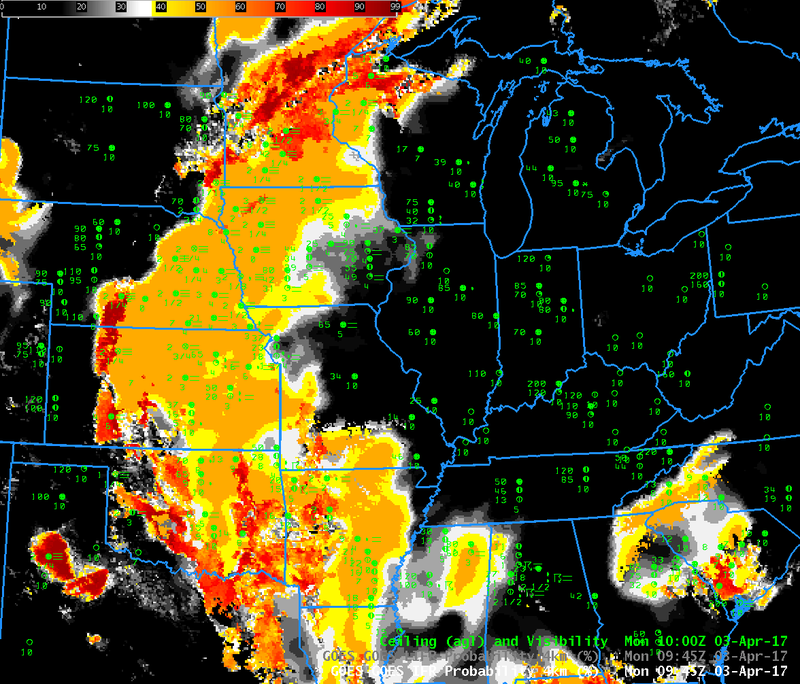 Low IFR Probabilities over Iowa, Nebraska and Kansas, part of a smooth yellow field, are driven solely by Rapid Refresh Data in a region where high and mid-level clouds are preventing the satellite from observing low clouds. GOES-R IFR Probabilities, below, generally cover the same region as Low IFR Probabilities shown above, but have larger values. As with the Low IFR Probabilities, model data only are determining the probabilities over much of Iowa, Nebraska and Kansas, a region where the probability field is uniform and flat, especially at the end of the animation. GOES-R Low IFR Probability is shown below with surface observations superimposed. There is a good relationship between high probabilities and observed IFR and Low IFR conditions. This entry was posted in Northern Plains, Plains on April 3, 2017 by Scott Lindstrom.